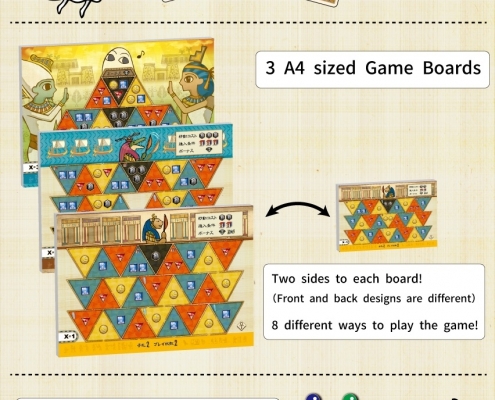 The designer of Wolf & Hound brings you Path to Yaaru, an Ancient Egyptian themed game about discovering your path to the heavenly paradise of the Fields Of Aaru. The game is published by Fukuroudou and will be released at Tokyo Game Market 2017 Spring. It is available for purchase through Ninja Star Games. What is Path to Yaaru? 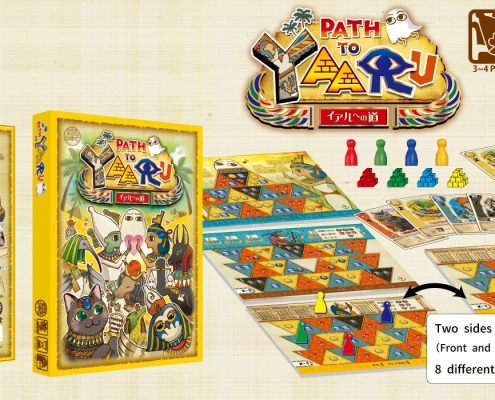 Path to Yaaru is a card-drafting game set in Ancient Egypt in which you head to Yaaru, the promised land, with help from the Egyptian gods. The card-drafting system has a twist in that you may not freely pick any card. Hence, while advanced players may plan deeply beforehand to control the later stages of the game, beginners may simply focus on the current state and pick from the smaller choices. Who would be the first to Yaaru, passing the obstacles along the path? You are a wanderer of the underworld searching for the quarter of Osiris. You will be given to Ammit, the devourer of the dead! It’s not too late to show your faith to the gods! Impress the Guardians you meet in your afterlife journey, as they are the ones who report your character to Osiris! Make the necessary arrangements so the Guardians like you more than the other deads! 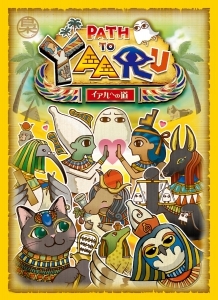 There is only one ticket to Paradise… Will you find the Path to Yaaru!? 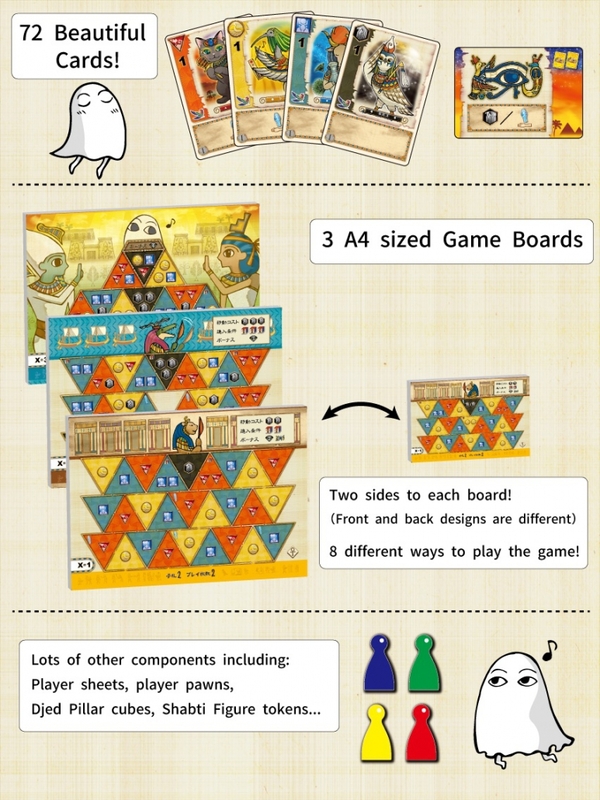 The game is published in Japanese, with English rules available online. Most components are language independent.